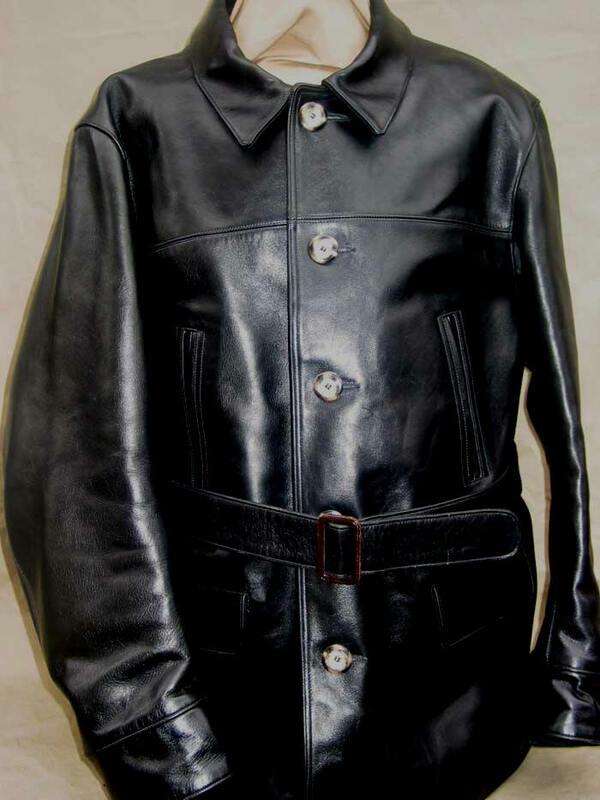 This 1930-40s 3/4 length (mid-thigh) car coat design originally came both single- and double-breasted. 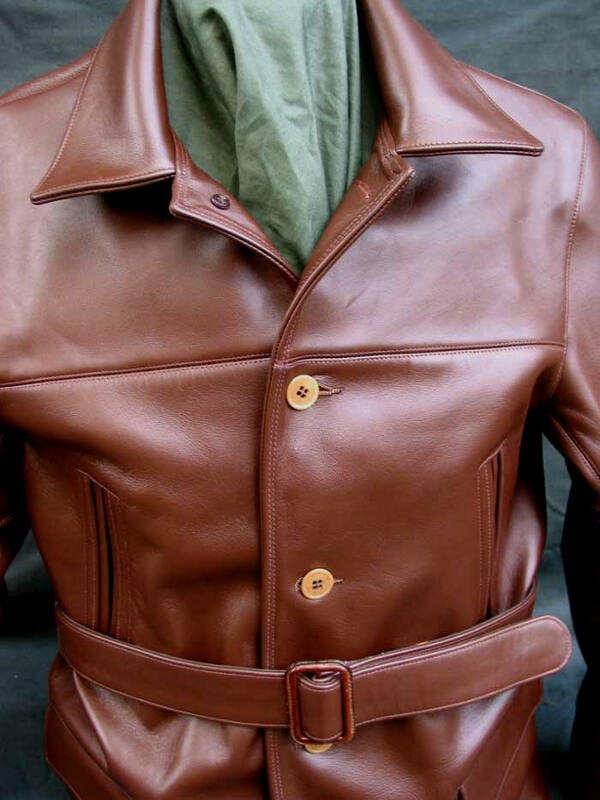 In the latter configuration a commercial pea coat. We've made it both ways but prefer the purity and simplicity of the version above. 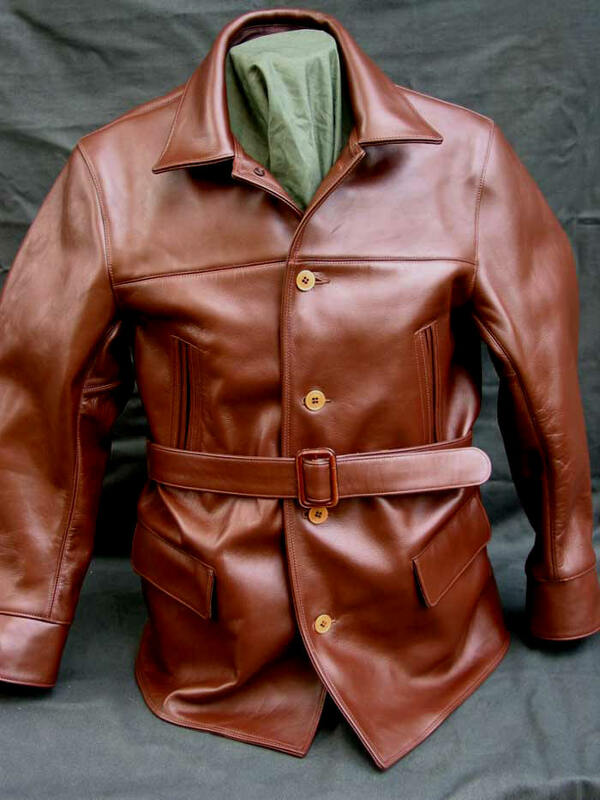 In our famed, no compromise heavyweight Front Quarter Chrome-Tanned Horsehide, per originals. With 15 oz. Cotton Duck Lining and trim. Interior pockets. Tortoise Shell buttons. Nothing similar anywhere. The drama and precision of this classic are everywhere apparent. Craftsmanship that, without hype or exaggeration, amazes. Just take a look above, how definition and detail jump out, almost three-dimensionally. Note the spectacular double- and top-stitching throughout the Bedford. Although we have double-needle machines, our craftsmen use their single needle machines, because this way every inch of the complicated, demanding construction can be controlled under expert eyes. 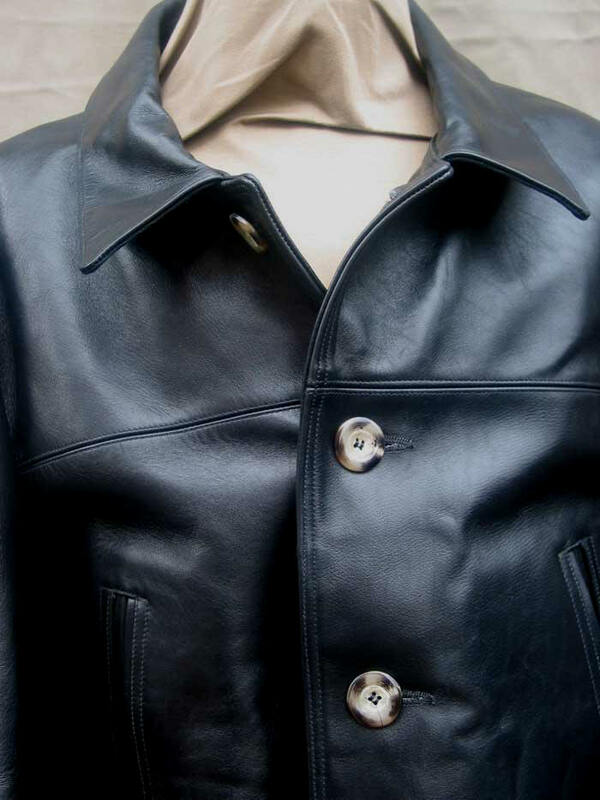 And our ultra-heavy Horsehide must be controlled -- it battles the operator at every turn. 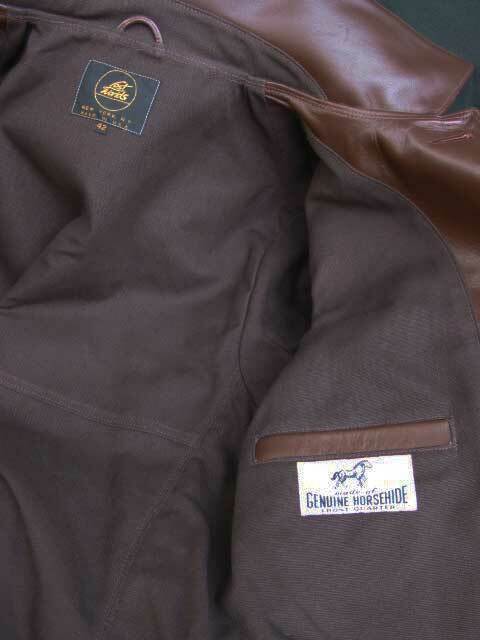 It's true horse-breaking to produce these coats. Nothing great is ever easy. 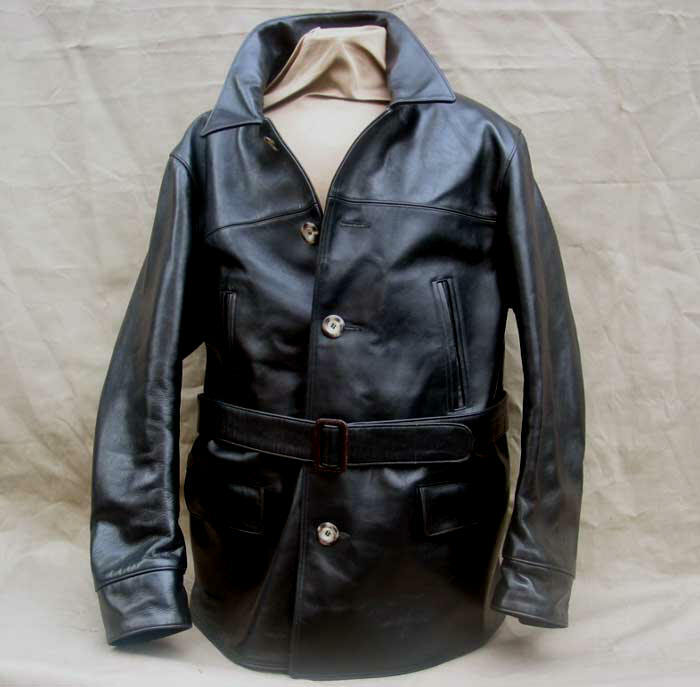 And nothing compares to great Horsehide, for the cognoscenti. Yet note too how tight the stitches are. (I'm amazed too and I'm only the owner!) Everyone who's ever bought one confirms its uniqueness, its dramatic identity. The LOST WORLDS BEDFORD is sui generis. 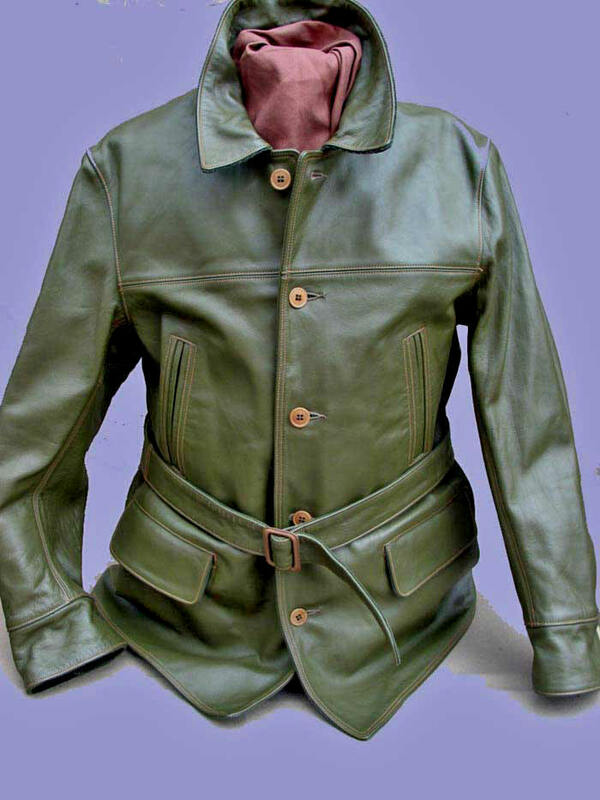 In the Olive Horsehide version (Custom Order only) we use contrasting stitching and genuine antique Bakelite buttons to render that true vintage feel. But make sure you really want the BEDFORD -- it's a one-time, lifetime purchase. Perfection. How does it do in the rain? IT THRIVES! 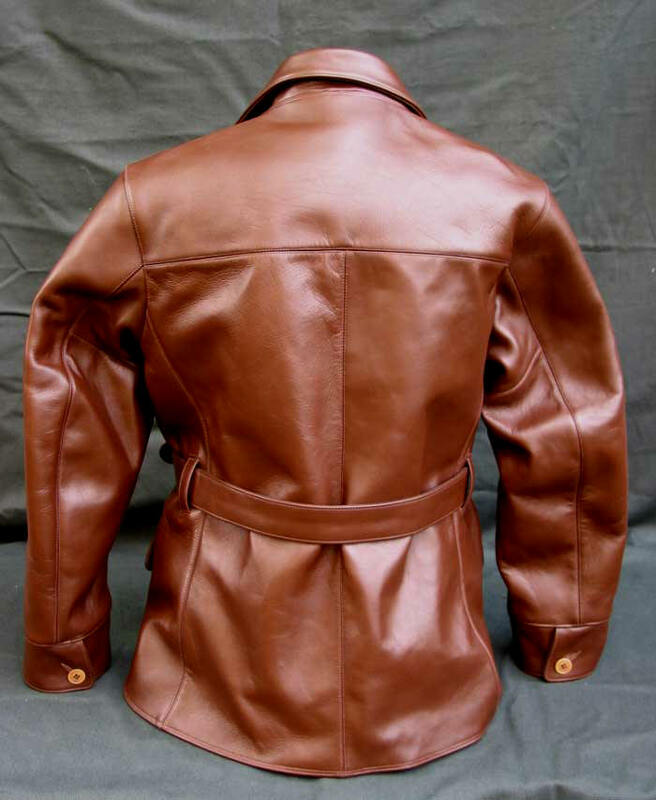 Correctly tanned Horsehide was for outdoor, tough use, not fashion posing. The horse didn't mind the rain, why would its hide? After all, it's the stuff of life itself, what we're made of. If your leather jacket doesn't excel in the rain, well, you didn't get it here, of course. "Came in today. Phenomenal work. Came out perfect."